As commonly done in those days, the St. Nicholas church in Oberndorf had an elaborate nativity scene on display in the sanctuary during the advent season of 1818. This nativity scene, before which "Silent Night!" 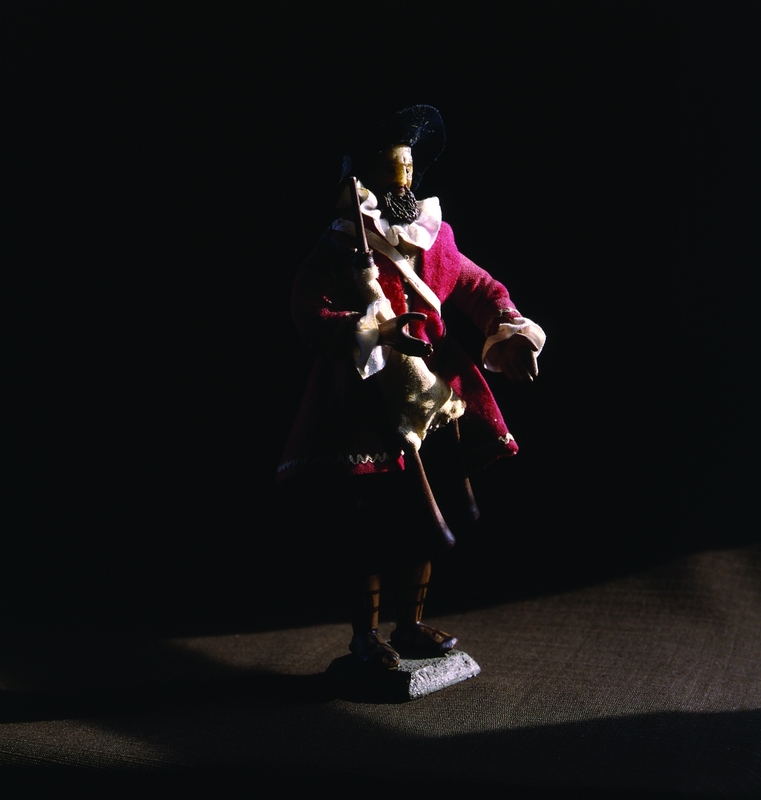 was first performed, consisted of many figurines about 4 inches tall and made of carved wood and wax, and dressed in Alpine costumes of the 18th century. The original display reportedly included the traditional manger scene with shepherds and the three kings, as well as the marriage scene at Cana. 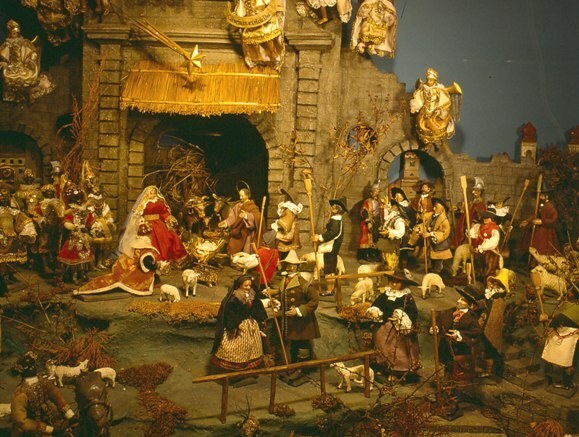 The Oberndorf nativity scene changed hands in later years and found its way to the Innviertel Volkskundehaus Museum located in Ried im Innkreis in Upper Austria. It now consists of over 100 figurines. Also in this town of Ried, in 1806, Franz Xaver Gruber took and passed his exam to be certified as a schoolteacher.